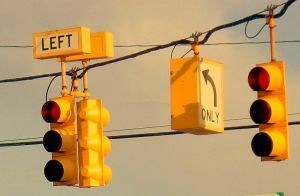 The intersection of Haverford and Ridge Road in Hamden, Conn., is a dangerous intersection that has been the site of countless auto accidents. In light of yet another recent crash that occurred in early July, residents who live in the area are once again asking the town to do something about the dangerous conditions. Our Hartford injury lawyers know that a town or city can sometimes be held legally responsible if there are dangerous roads as a result of negligent design or maintenance. By ignoring the high number of accidents and pleas from local residents, the town is putting itself at potential risk for liability when future crashes occur. According to WTNH, Hamden residents near the intersection of Haverford Street and Ridge Road have been trying for years to get the town to respond to concerns about the dangerous location. Despite their pleas to the town, unfortunately, nothing has been done to make any changes or to make the intersection safer. The town of Hamden has not even managed to add a four-way stop to the area, which other residents indicated would be a potential solution. It is the responsibility of the town to make sure that the roads are safe for motorists and if the town fails, it can be held legally liable under certain circumstances. Taking legal action against the government can be more challenging than pursuing a claim against an individual. However, if it can be proven that the town was negligent in not responding to requests to fix the intersection and if it can be shown that city leaders were aware of the risks and failed to take action, then the town could become responsible for compensating crash victims. Since the town has received ample notice of the potential dangers at the intersection, accident victims may have a case to obtain damages. Aside from the pleas of the residents, the town has also been able to observe the many accidents that have occurred in the area. In early July, for example, a van with seven passengers collided with a pickup truck and flipped. In 2007, an ambulance with a patient onboard also crashed on its side in the exact same location. The mayor of Hamden has indicated that he has seen pictures of the crash and the police chief has reported that they are trying to find a solution and have hired a consultant to review the area and make the intersection safer. Yet, this problem has been going on for years with no progress. Hopefully, this time the consultant will be able to come up with a solution and the town will take action to protect motorists and to protect itself from legal liability for future collisions.